As per media reports, four lakh defence employees working in 41 ordnance factories, naval docks, army and air force workshops and other productions units are readying themselves for a three-day protest between 23 and 25 January 2019. This is not the first time the workers, part of more than one employees' federation have struck work over past three years against the policies of the Centre. The main reason of the protest is the 'privatisation' policy of the government, which they argue is detrimental for the country's defence forces. C. Srikumar, General Secretary of All India Defence Employees' Federation (AIDEF) told the media that disruption in work is always the last resort of the employees who understand how critical their contribution is to the armed forces, but emphasizes, "The Centre did not take us into confidence before taking such an important decision on privatisation. We are not just concerned about thousands of jobs that will be lost in the coming years, but also about the strategic issues." Another union leader working with the Director General of Quality Assurance (DGQA) said, "However, when the government is taking away our jobs and handing keys to strategic areas to the private sector, there is nothing else we can think of to get the government's attention." In recent times, MoD has declared some 200 defence items as non-core, allowing defence forces to procure them directly from the market. PSUs and ordnance factories have also been asked to give out at least 25% of their work order to private firms. MoD has also finalised Strategic Partnership Model (SPM) that will see increased private participation in defence manufacturing. Based on the Shekatkar Committee Report, Army's Advance Base Workshops have been brought directly under the MoD. Such measures have got civilian-defence employees up in arms although their strength in these entities have not been reduced. The grouse of AIDEF is that in the past they have written letters against privatisation to the Defence Ministers, Secretary (Defence Production), BJP President and former Congress President but has evoked little response. Srikumar says, "It is not that they have not met us. But in every meeting we are assured of positive things, but what's happening on ground is different. ", and therefore the protests after multiple attempts by the trade unions to garner the Centre's attention have not yielded desired results. Such trade unions are the bane of India's development. 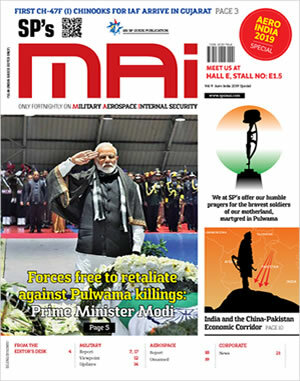 What AIDEF, and its General Secretary C. Srikumar, don't acknowledge is gross inefficiency and incompetence of the governmental defence-industrial set up that has forced India to import 70% of its defence needs for decades. We have not been able to indigenously meet even small arms requirements of our soldiers. Army has been permitted recently to procure combat dress from open market after a prolonged battle despite the ordnance factories charging the Army three times the price. Army was being fleeced of 1,42,50,00,000 to 1,47,50,00,000 annually just for one solitary item of combat dress, so one can imagine the lakhs of crores if all items are taken into account. An interesting post on Facebook reads, "The lack of development in Indian Defence Sector can't be blamed on no presence of joint ventures but on an organisation called DRDO. You would be surprised to the level of incompetence of this organisation... Whenever a requirement was established by the forces, the government would give DRDO the responsibility to develop that product. Unfortunately, the folks at DRDO never develop anything. Most of their products have been developed through down collaborations in which Indian component were bare minimal. They eat away tax payers' money and maintain lavish lifestyles (having personally known a few). Many in the DRDO have lobbied against complete privatisation since they will lose out on their relevance should this happen". To give due credit to the present government, it has shown inclination for privatization. Minor tinkering by way of disinvestment has also been announced, like 10% in HAL. Ammunition production by civil sector has been opened up, and now the plan is to identify some factories and tie up these with private-sector defence companies; the four units identified for the public-private partnership (PPP) model being Small Arms Factory, Ordnance Factory Tiruchirappalli, Rifle Factory Ishapore and Ordnance Factory Korwa. The majority of the products that are being produced by the OFB are of Russian origin, but it is mostly of assembly nature with very little technology absorption. As such, the level of indigenisation is very low. Three defence employees unions, the All India Defence Employees Federation (AIDEF), Indian National Defence Workers Federation (INDWF), and the Bharatiya Pratiraksha Mazdoor Sangh (BPMS) have been protesting periodically against privatisation of the defence sector, which indirectly amounts to stymieing India's defence and could well be on behest of anti-India forces from abroad and within the country. The bit about privatisation being detrimental for the country's defence forces is sheer nonsense - joke of the century. Privatisation in defence is the crux of equipping modern armies abroad. If we look at a country like Communist China and its defence industry, not only would unions be banned, C. Srikumar and Co would be in re-education camps or probably serving term for inefficiency. Government must show resolve to increase the pace of privatising the defence sector. Four lakh employees is no big deal considering our unemployment coupled with skills development programs. The bad hats must be weeded out speedily. The way forwards is complete privatization, and making the government-industry concentrate on development of futuristic technologies.